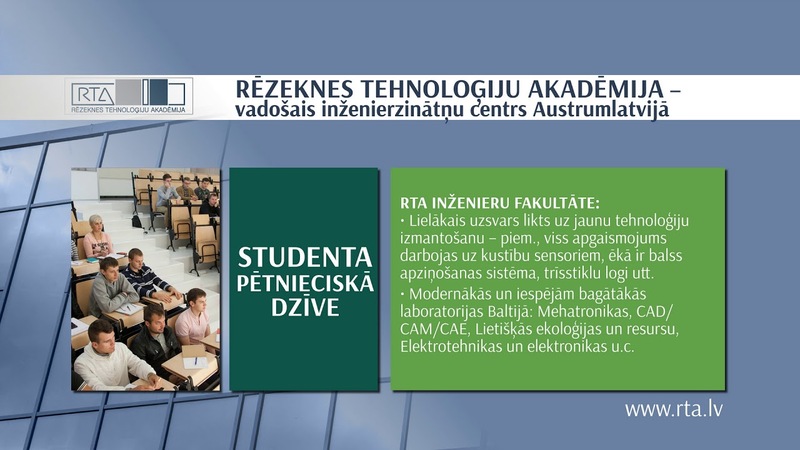 The Institution will take care about academic recognition of the previous education diplomas of the candidates in the order regulated by the National Academic Information Centre (http://www.aic.lv/portal/en). The process of the recognition could take 3-4 weeks. (In case of special examination of diplomas – up to 4 months). Students will be admitted for studies based on applied documents and after the diploma of previous education is recognized by the AIC. All the admitted students will be provided with the official invitations to study at RTA. Based on the invitation (Study Agreement) students will apply for study visa at the nearest Consulate or Latvian Embassy. It is important to note that this is a time – consuming process and could take up to 6 weeks. RTA will assist students with the Residence Permit Application process. For detailed information regarding residence permits, please consult the Office of Citizenship and Migration Affairs website http://www.pmlp.gov.lv/en/. Only after receiving the Residence Permit the student will be able to receive Visa for entering Latvia. The Latvian health care system is well established and medical care will be available to all international students. For non EU citizens there are very special requirements for health insurance. The Orientation Course at RTA at the beginning of each semester will give students more information on health care issues (e.g. where to find Russian or English speaking doctor, where to call in case of emergency etc. ).